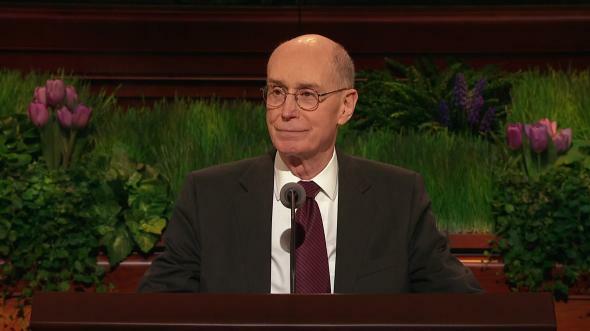 Elder Scott, I would just like to add my welcome to the others that have been given to you as you assume this great position. 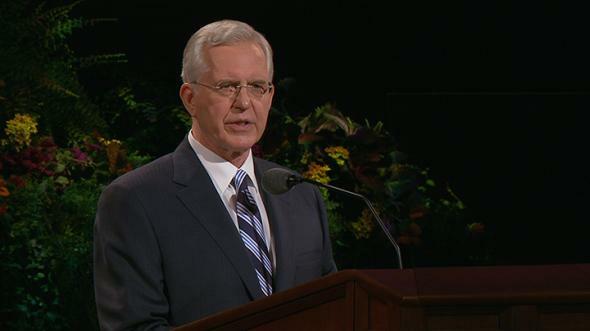 You are joining a unique quorum. It is made up of very common men with a most uncommon calling. There is a spirit, a unity, and a devotion in this body like none other you will ever experience. We are excited to have you and your great talent and abilities with us in our quorum. Welcome! Welcome! Welcome! “And they shall also teach their children to pray, and to walk uprightly before the Lord. The language is direct, and it leaves no room for misunderstanding. The responsibility for training children rests primarily with the parents. I had almost the same feeling the other day when Elder Featherstone and I spent a few hours with the president of Brigham Young University. 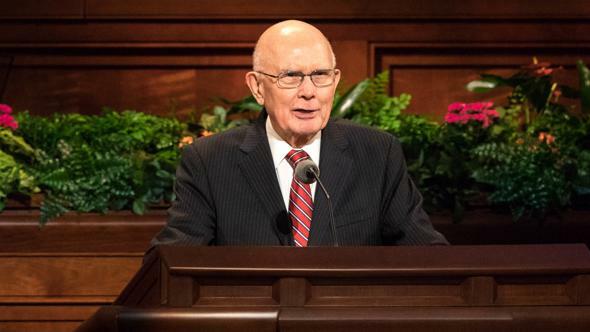 We had asked for an appointment to discuss with him what the priesthood leadership could do to help enforce the standards required of the students when they are accepted at Brigham Young University. As we sat with the leader of this great institution, I was reminded of this experience in Junior Sunday School many years ago. 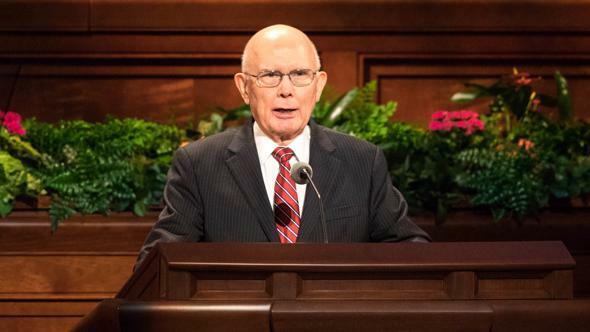 I had the feeling that many parents were bringing their children to the doorstep of BYU, pushing them through the door, then holding onto the doorknob, expecting school administration to assume the responsibility for completing the training of their children. 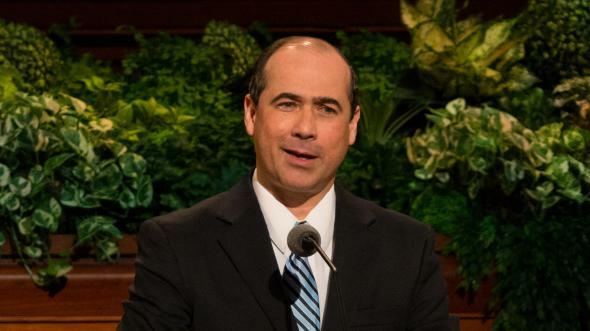 Of course, the large majority of the students entering Brigham Young University and the young men and women entering the mission field have been trained in good homes and come forth with a spirit of the gospel and are exemplary to all the world. However, there is a small percentage who come with problems, and the trend indicates this number is increasing. So today I would like to echo the counsel that has been given almost from the beginning of time as a voice of warning to parents. If you abdicate your responsibilities of teaching and training your children and then expect some other institution to pick up this responsibility and effect an immediate transformation, you expect what never was and never will be. “If we continue with present trends, we can expect to have more emotionally disturbed young people, more divorce, more depression, and more suicide. I am afraid too many of us have had the experience in life of finding out how difficult it is to establish basic family traditions and practices after our children have grown into their teenage years. It is then that we realize how much easier it would have been to establish these practices early in their lives. How important it is that gospel training begin right at the start when we accept a new little spirit into our home. 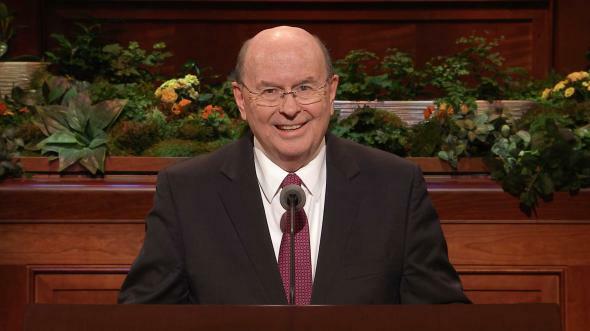 In addition to reading fairy tales to our children, we should build a consistent, planned program of introducing the principles of the gospel through Bible and Book of Mormon stories, stories of our current-day prophets, and also of our family histories, which bring a heritage of gospel living into the lives of our children. We should carefully watch their television time to be certain they are tuned to the right programs. We are blessed in this day to have alternatives to programs of violence and sin. The video market has expanded to offer us choices of programs which are proper for family entertainment and learning. We should be certain there is family prayer, night and morning, weekly family home evenings, and regular attendance at our Sunday meetings. And then we should plan time for an activity day when we can teach children how to work and how to play. This is a responsibility that cannot be abandoned. It rests solely upon the shoulders of parents to establish a gospel foundation in the lives of their children. Of course, there are other organizations that can help, but we should want to be certain that we know what they are learning, and that we take the time and have the patience to determine carefully and in a planned, organized way, that they are growing up with a sure foundation on which to build their lives. The second area of concern in training children is not to allow them to be caught up so much in the things of the world. 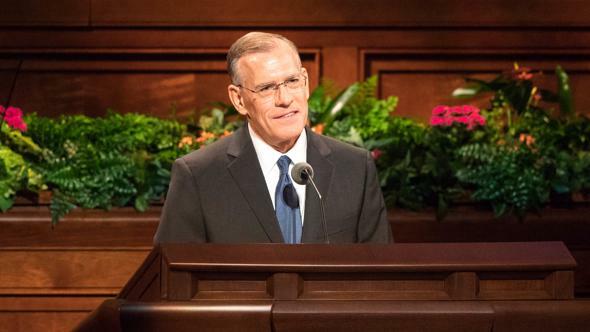 It was interesting to me, as we discussed concerns of students at BYU with the president, that he remarked that the students from the farms where they had been taught to work, save, and conserve were the ones who seldom stepped out of line in violating school standards. Students whose parents had spoiled them with worldly goods were the ones who seemed to create most of the problems. It was the student who arrived at school driving an expensive, fancy car who seemed to think he was above abiding by university standards. Third, children need to be taught the joy of honest labor and experience the satisfaction which results from seeing a job well done. They do not need everything the neighbor’s children across the street are receiving. Of course, we want them to develop their talents, but do they need to enroll in every athletic camp or every cultural development course which comes along? I am shocked as I become aware that in so many homes, many of the children do not know how to make a bed, care for their clothing, squeeze a tube of toothpaste to conserve, turn off the lights, set a proper table, mow a lawn, or care for a vegetable garden. These simple acts of cleanliness, order, and conservation will bless their lives every day that they live and prepare them to become self-sufficient when they reach an age when they must be out on their own. Teach them the basic knowledge that the earth is the Lord’s. He has a marvelous system of replenishment and renewal so long as we care for, conserve, and waste not. 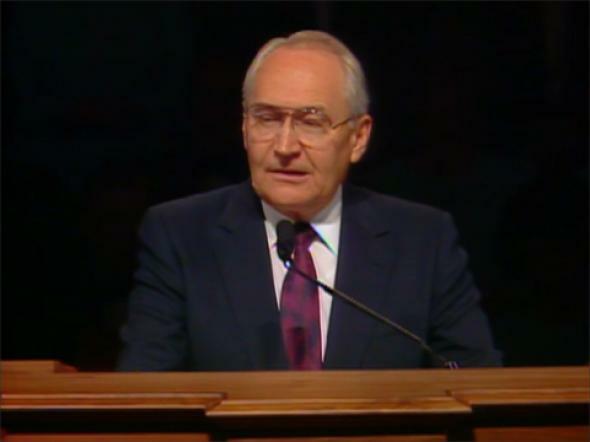 President Kimball delivered a great talk many years ago at Brigham Young University entitled “A Style of Our Own.” He encouraged us not to be among those who would follow worldly, immodest styles, but to have the courage to dress in a way which will send a message that our standards are different. Our dress will reflect the way we intend to live, founded on principles of the gospel of our Lord and Savior. 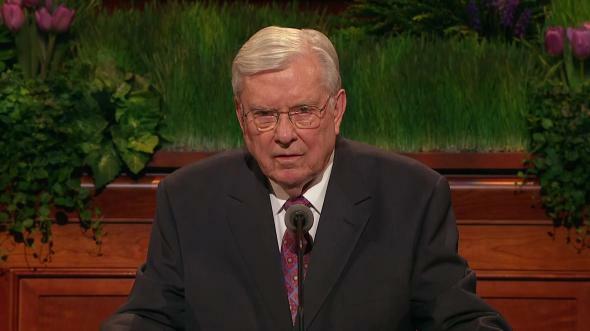 It is impossible to expect a child who has been taught to love to dress in the immodest style trends of the day, to then change overnight to an entirely different wardrobe when they enter a Church university or a missionary training center, or when they are married in the temple, or even when they dress for the Sabbath day. Modest, proper styles must be taught almost from birth. I know a little girl who is the last child in a large family in which the other children are all boys. I guess the shock of being a girl in this big family of boys has made her keenly aware of the fact that she is different from the other children. Her mother has wisely taught her that the boys wear trousers and that she wears dresses. Now you cannot get her to wear anything else but a modest dress. I am certain she will have no problem adjusting to Church dress standards anytime in her life because there will be no need for change. This is something she has been taught from the very beginning of her life. How easy it will be for her to accept the proper dress standard as she moves from child to youth to adult. Now, before I receive letters from upset women telling me that I said they should not wear slacks, save your postage. I did not say that, although I don’t think they are appropriate for the Sabbath day. What I am saying is that we have established a dress standard which requires a modest, wholesome style. And the best way to ensure that this standard will be comfortable and acceptable when it is required to be worn is to see that it is taught and practiced throughout a child’s life. The way we dress is usually a good indicator of how we will act. May the Lord bless us with the desire to instill in the lives of our children a standard that will always be acceptable to the gospel of our Lord and Savior. 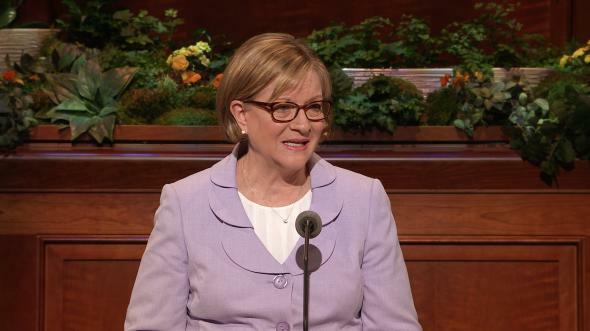 I give you my witness that this is his work in which we are engaged, and I pray that we will be earnestly involved in bringing about an understanding in the hearts and souls of our children. This is my prayer in the name of Jesus Christ, amen.